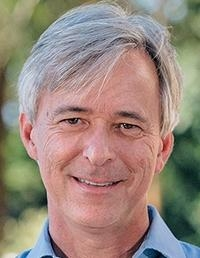 A consummate leader versed in manufacturing, engineering and sales, John Krafcik has brought Waymo from an experimental engineering program to one of the first real-world deployments of autonomous ride sharing. Waymo's core technology development work has continued apace in 2018, passing 10 million miles driven autonomously on public roads and revealing a new generation of lower-cost sensors. The program has also made significant progress in turning once-experimental retrofits into a more polished consumer product, with more refined sensor suite integration, in-vehicle displays and interfaces honed in its "early rider" program in Chandler, Ariz. Riding in one of Waymo's latest Chrysler Pacifica robotaxis now feels less like a science experiment and more like the real commercial service it is fast becoming. With the growing maturity of Waymo's self-driving vehicles comes a new commitment to scale, and Krafcik's mandate to improve Waymo's relationship with automakers has yielded fresh deals with Fiat Chrysler Automobiles and Jaguar Land Rover in 2018.